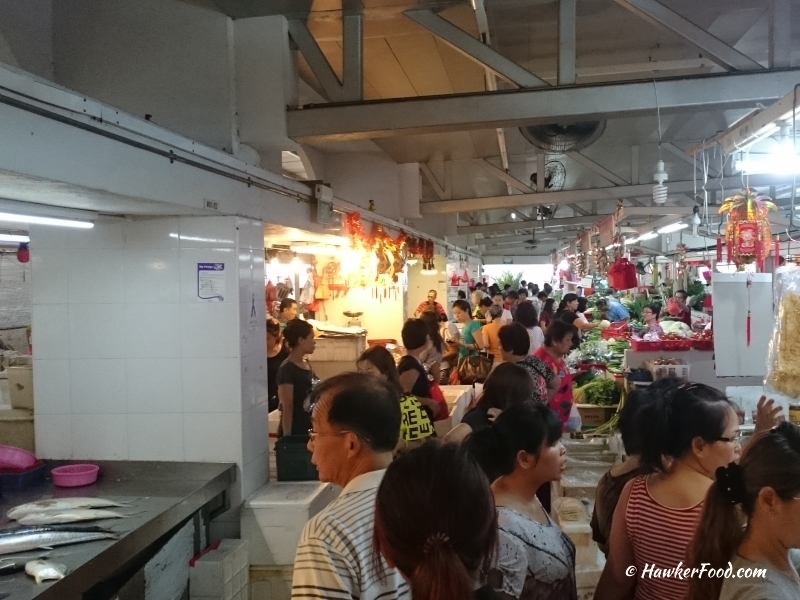 When was the last time you visited a wet market in Singapore? It does not count if you only visited the hawker centre to grab your daily hawker food. Nowadays, there are many supermarkets located in shopping centres as well as in the heartlands. Singaporeans will usually do their grocery and foodstuff shopping after work at air-conditioned supermarkets. Lao Beng loves the sights and sounds of the wet markets. Never mind that it can be a sweaty and sometimes stinky/fishy experience, not to mention that you will go “yucks” when your feet are splashed by the water on the floor. 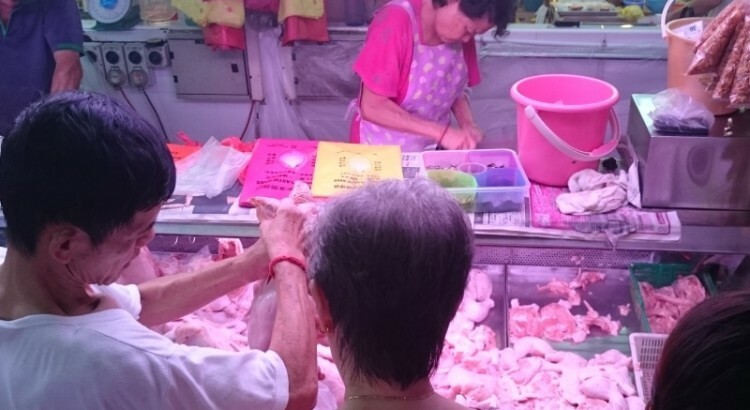 Even though shopping at the supermarkets is a comfortable affair, I will still visit the wet market with my mother every now and then. The beauty of a wet market is its charm and it can be charming in more ways than one. You will find yourself interacting with the sellers, talk to them about your life and at the same time haggle down the price. You can also request them to help you debone or chop into the exact portions that you want. My mother will always haggle with the fishmonger every time and the best time to do is when they are only left with a handful of fishes. They tend to sell cheaper so that they can closed their stall early. 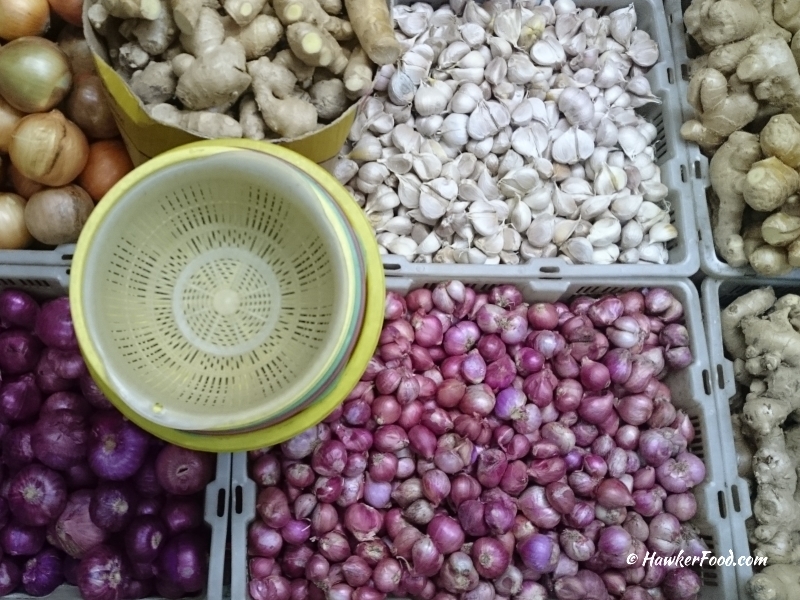 There are also stalls that sell all kinds of uncooked foodstuff like fishballs, noodles, tofu and even tempeh (a food product made of soybean). When the winter solstice/dongzhi festival draws near, you can buy traditional pink and white glutinous rice home and roll them into Tang yuan/汤圆 balls of your desired size. When it comes to vegetables, the fantastic thing is that if you buy more, you can ask for freebies like a couple of chillies or coriander. Do not belittle such stalls as some of the them actually sell organic vegetables at affordable prices too. There are also the dried good sections in the wet market where the floor will be dry (most of the time). 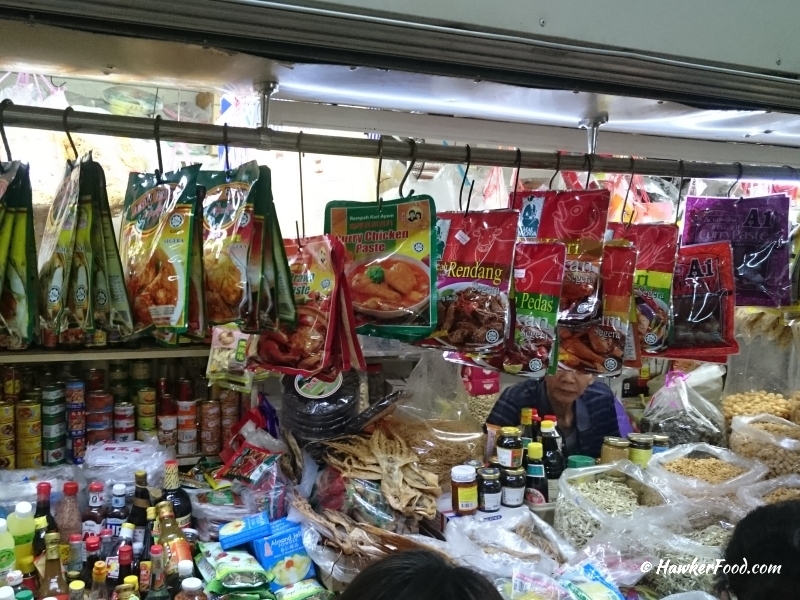 Over here you get to buy dried goods like anchovies, shrimps, scallops, fish maw and spices. Whenever my mother needs spices, I will always buy the curry powder, star anise and cumin seed from the friendly Indian stall at my local wet market. 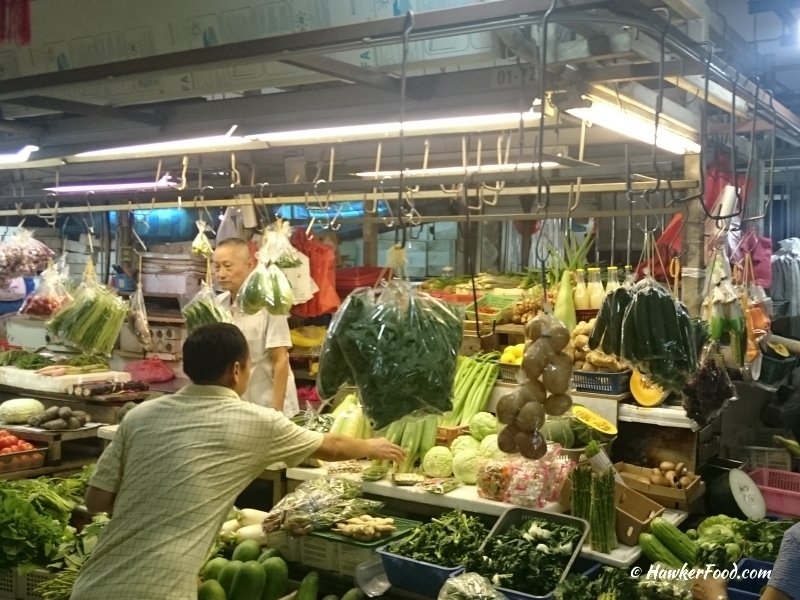 Singapore’s wet markets have all kinds of stalls that you can find, fruit stalls, budget flower stalls and even aquarium shops although they are slowing disappearing. 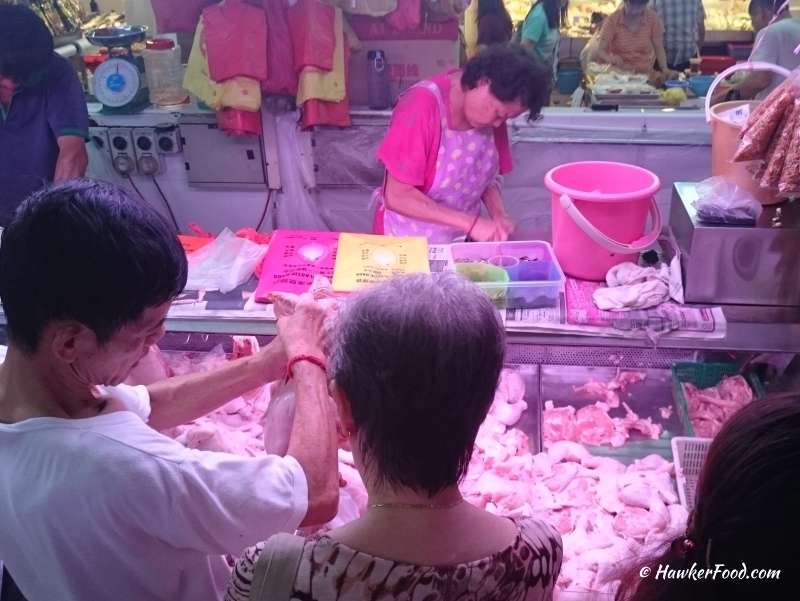 To surmise, I really love the colours of the wet market, the colours of the items on sales and the colourful characters that we meet and interact with. The thing I have noticed is that you only seem to buy the necessary stuff over here as opposed to a supermarket located in a shopping centre where there are so many tempting stuffs for you to buy. I sincerely hope that the wet markets in Singapore will continue to thrive and more youngsters will continue to run their parents’ business. Let us keep this unique piece of Singapore alive.